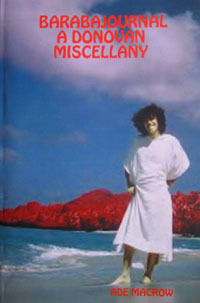 Description: Barabajournal: A Donovan Miscellany is a book written by Ade Macrow that compiles 32 articles about many different chapters of Donovan's career, going from the music to the more unkown aspects of his life, and including many talks about rarities that any Donovan fan would die to own. 03. Where Is The Gypsy? 14. The Early Outtakes etc.